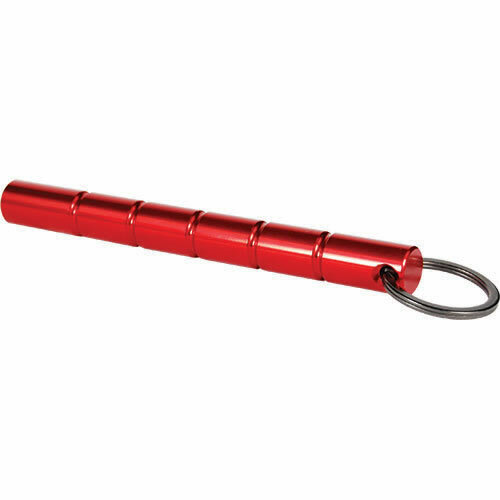 Kubotans are highly accessible, extremely durable, and very effective self defense weapons. 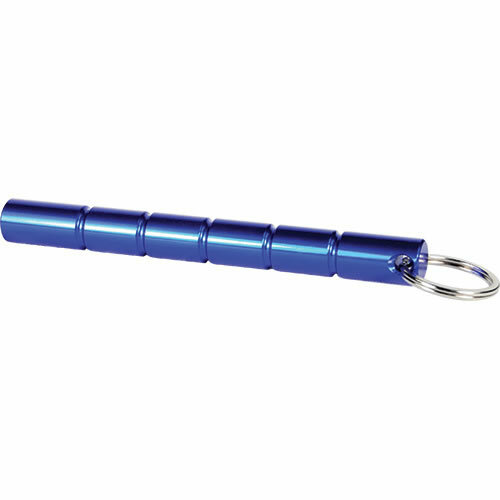 Kubotans are highly accessible, extremely durable, and very effective self defense weapons. 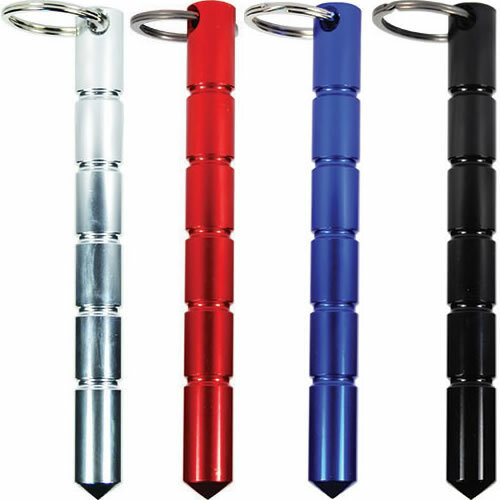 They can be used for stabilizing your fist, applying pressure to sensitive parts of an assailant's body, swinging at, or gaining leverage on an assailant's wrist or fingers. 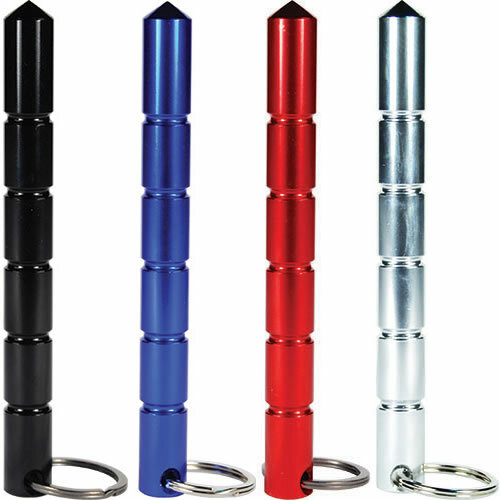 These defensive weapons are made of high density aluminum and comes in four different colors. They measure about 5 1/2" long, about 1/2" in diameter, and weight about 4 ounces. Kubotans have pointed tips. 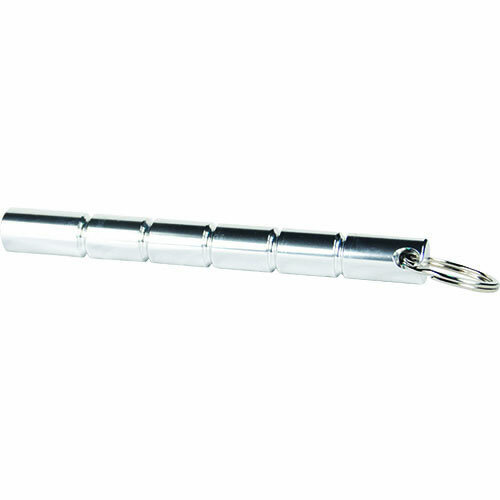 You can attach it to your keychain so you always have it with you. Also referred to as the Yawara, it is designed to be used against bony surfaces, soft tissue and nerve points. It is effective because of the temporary paralysis or extreme pain it causes. 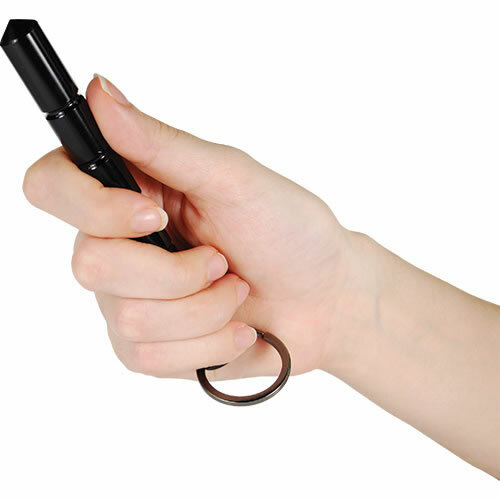 Especially for those without experience in a martial art, this weapon provides an inexpensive and easily learned method of self defense. Comes with the key ring so you can attach to your regular keychain. 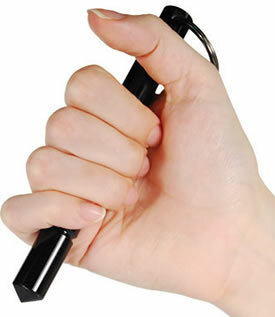 Highly Effective Self Defense Stick in the Palm of Your Hand! It is not necessary to waste time or miss an opportunity by trying to be overly precise. It's better to react naturally. Good targets are the groin, stomach, solar plexus, throat, eyes, the arm, the shin, hip bone, collarbone, ankle, and kneecap. A sharp strike to a bony part of the body will painfully encourage an assailant to stop his or her attack. A harder, well placed blow can easily break bones--especially if the force of the blow is not hindered by clothing. The most basic applications involve striking or poking vulnerable areas of the body, including the eyes. Generally speaking, swinging strikes work better against bony surfaces while fleshy areas are more susceptible to pokes and jabs with the ends of the Kubotan. There is no wrong strike! Just hit as hard as you can the closest body part. With this concept in mind, a person avoids the confusion and frustration of trying to remember specific strikes for specific targets. Instead, one simply remembers to strike bones and poke soft tissue and pressure points. The strike does not have to be perfect. Since nerves are close to the surface of most bony parts, even a glancing blow will inflict enough pain to make your assailant think twice about continuing his attack. You can also use the keys that you have attached. You hold the kuboton and swing the keys. Most effective when you hit the face since there is a higher probability of drawing blood. The keys will scrape into the flesh and cause pain and bleeding. We have a keychain knife based on this principle. Don't be squeamish! Do you think they care about you at all? The kuboton is legal and entirely unregulated. 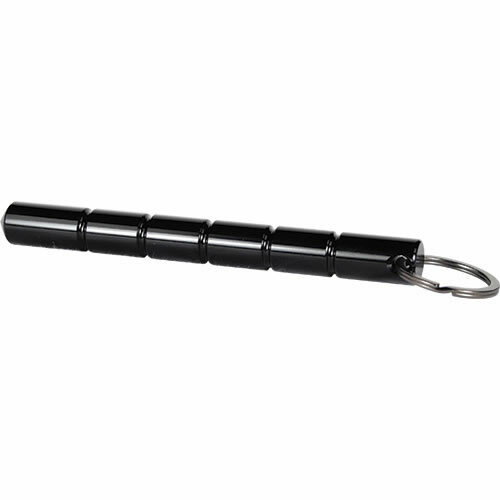 To most people, the Kubotan is little more than a nondescript key ring. 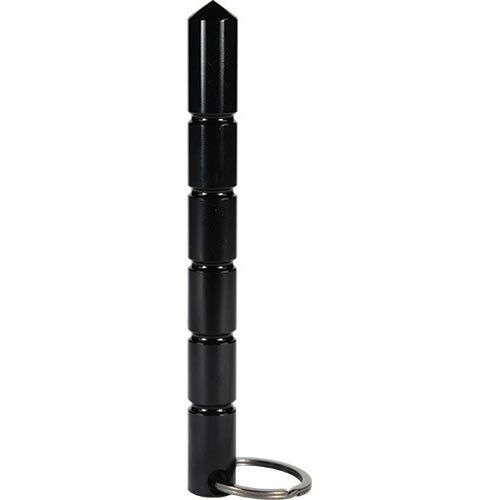 While it is not particularly intimidating, it remains an effective self defense instrument. It really can save your life. 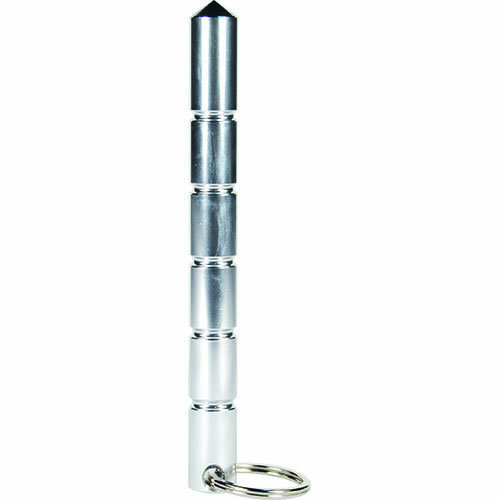 These also work great as a glass breaker in the event of an accident where one couldn't exit through the automobile door(s). 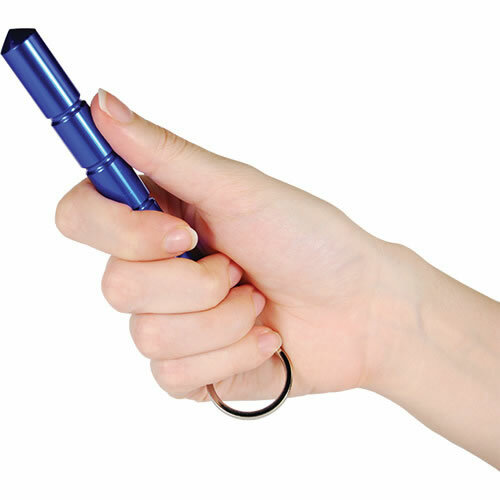 An additional option similar to the kubotan is what is referred to as a tactical pen. 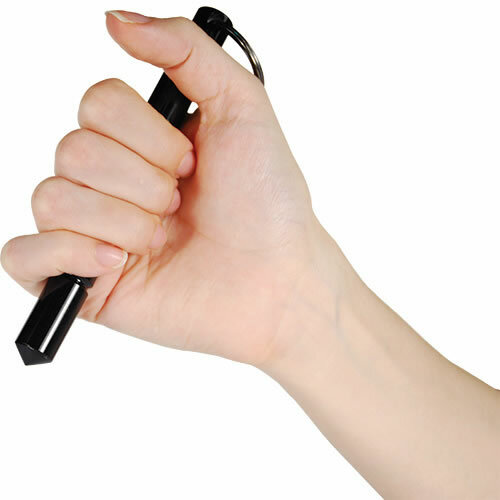 This is a writing instrument made of strong metal that can also be used in the same manner. 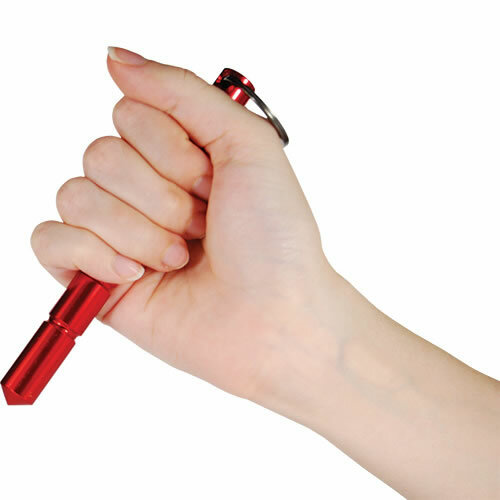 The market is flooded with self defense devices from the simple pepper spray to stun gun. But, there is one most efficient self defense tool in existence for quite some time now that's accessible, durable and effective. The tool, now recognized for its innovativeness and brilliance is the Kubotan. This weapon is a rod made of metal/plastic or wood and is about 6 inches long. It was originally introduced by Grandmaster Takayumi Kubota, who brought the device to the attention of the LAPD, and began teaching officers how to effectively use it to subdue unruly suspects. 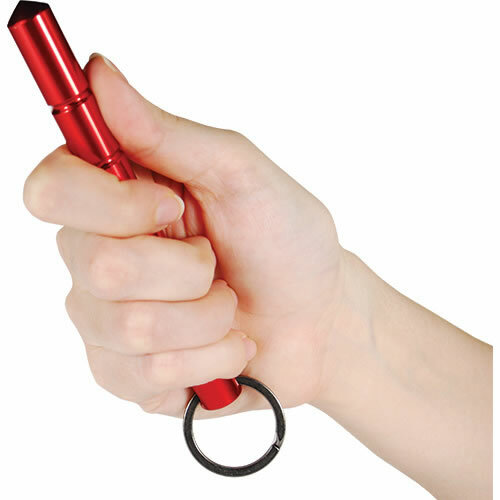 Through the years, it has slowly expanded toward civilian self defense utilization, and is now one of the most popular and widely carried self defense devices around. 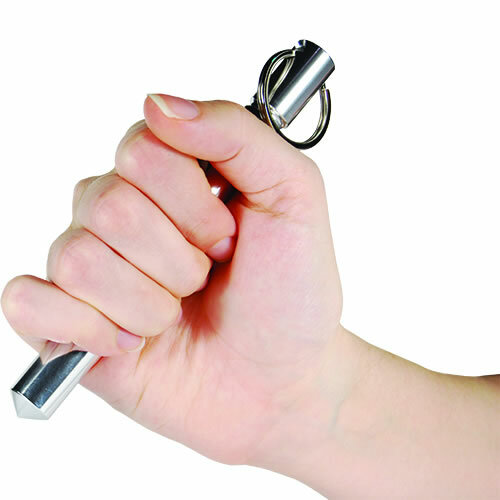 - When throwing a punch - with hands wrapped tight round the Kubotan, the defender sure have a fistload for punching. It hardens and stabilizes the fist for that powerful punch. - When trying to gain leverage on an assailant's wrist, fingers and joints - as a pressure point and pain compliance weapon it can attack any point with greater penetration because of the small surface area at the ends. - When striking on a swinging motion - with keys attached (as what is usually done), it can also function as a flailing weapon. This is most effective when you hit the face. By using the Kubotan, people can make the most out of their strength as well as boost the force of their counter attacks. It is very effective in countering assailants. People can use them in striking the nerve points, soft tissues, and bony parts of their assailants' bodies. It can surely cause pain, paralysis, and discomfort to eventually get them down, or for you to have enough time to escape or move away. To a lot of people, the Kubotan may be a plain, nondescript device, and not particularly intimidating. But in reality it is an effective self defense device that can save a life, which everyone should get have. 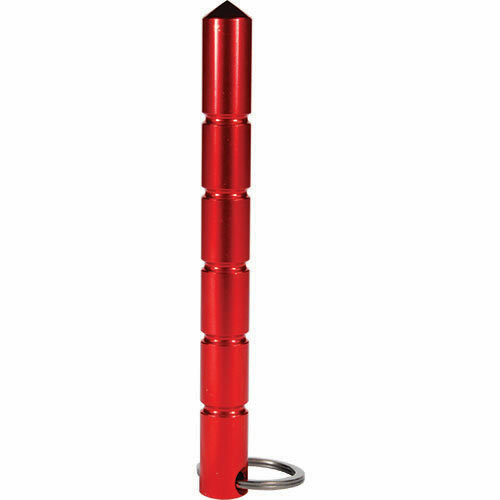 Very easy to carry and appears that it could be used very effectively with minimal training. We give them out as part of our workshop on self-protection. The groups love them.